Very few of us enjoy paying taxes, but doing so is our responsibility as Americans. However, that doesn’t mean that you shouldn’t do everything you can to minimize the amount of taxes that you pay. You are under no obligation to pay more than you owe. That said, many people pay more than they need to throughout the year, and that means that they lose out on opportunities to invest and save. Likewise, it is not uncommon for people to miss out on deductions that they could take – and as a result, they end up owing money or getting a smaller refund than they are due. The solution is to be meticulous about filing your taxes now by consulting with an accountant or tax attorney to make sure you are taking all of the deductions for which you qualify. However, paying attention now is only part of the battle. The rest is taking a proactive approach to planning for taxes in the future. With that in mind, here are some tips to help you minimize your tax burden when you get older. One decision that people tend to fret about is whether to invest in a traditional IRA or 401K or to choose a Roth IRA or 401K. The decision mostly hinges on whether you think your taxes are higher now than they will be in the future. Of course, that’s a difficult thing to predict. The primary difference between a traditional and a Roth account is that, with a traditional account, you invest pre-tax dollars today – effectively deferring payment until you withdraw money. By contrast, a Roth account requires you to invest after-tax money. In return, you don’t have to pay taxes when you withdraw money in the future. So if you had some reason to believe that your taxes would increase substantially over time, your best bet would be to choose a Roth investment account to minimize what you have to pay in the future. It’s difficult to make any recommendation in this regard because so much of this decision depends upon your particular circumstances. If you’re relatively young and anticipate that your income (and your tax bracket) will increase over time, then you may want to opt for the Roth IRA. Otherwise, a traditional IRA may allow you to defer payment until you are in a lower bracket. If you want to reduce your tax burden right now (and consequently give yourself more money to invest in the future), then you should strongly consider maxing out on your IRA contributions every year. Contributing the maximum allowable amount, which is $18,000, means that you can greatly reduce your tax bill in the present. Not only does the $18,000 you contribute work to reduce your taxable income, but it also ensures that you’ll have a nice sum of money when the time comes to retire. The other benefit of contributing to your 401K is that, if your employer offers matching funds, you can get a 100% return on that portion of your contribution. It’s akin to getting free money every year, both in the form of matching funds and a reduced tax bill. As stated previously, it can be virtually impossible to know which tax bracket you will be in when you retire. However, there are some things you can do to try to plan, anyway. Long-term tax bracket planning requires some knowledge of how to use a spreadsheet. If you’re willing to crunch the numbers, you can play around with some things to see which options offer you the biggest tax savings. There may be a benefit to splitting your retirement accounts. You may want to have one or more accounts that are tax-deferred as well as one or more accounts with post-tax savings. 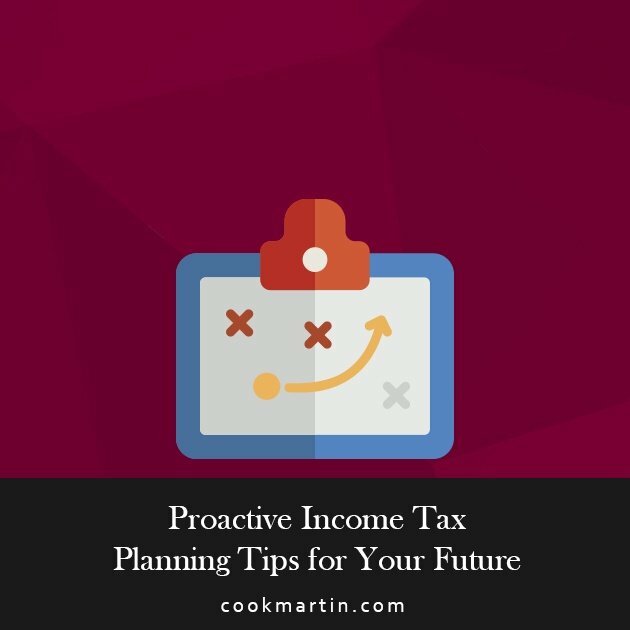 By playing around with the numbers and comparing your taxes in a variety of scenarios, you can plan out a saving and investment strategy that has the best chance of minimizing your future tax bill. Likewise, you should look at potential pension payments and figure out how they impact your Social Security. If you worked for the local, state, or federal government and paid into a pension plan in lieu of Social Security, then your Social Security payments will be lowered accordingly. It’s a good idea to crunch the numbers and figure out what you’ll get from the pension and what that does to your overall income. The same is true of non-government pensions. They won’t affect your Social Security since you will have paid Social Security taxes as well. However, when you receive pension payments they affect your gross income. As of 2017, the rule is that individuals with an adjusted gross income between $25,000 and $34,000 per year may have to pay taxes on up to 50% of their Social Security benefits. The benefit of looking at your long-term earnings and what you can expect to take in each year is that it can help you make strategic decisions now about investments and withdrawals from a retirement account. It can even impact your decision about when to retire. Sometimes, actions you take in the short-term can have long-term benefits. That’s true with taxes as well. The tax code changes on a regular basis. Every year, there may be an adjustment to allowable deductions, tax brackets, tax credits, and so on. Considering that the United States tax code has more than 100,000 words of content, it’s no wonder that many people miss out on allowable deductions and credits. One solution is to make sure to review your tax brackets in the fall of each year. The reason you should do it toward the end of the year is that you should know by then what changes have been made to the tax code. By reviewing potential deductions and credits well in advance of tax day, you can make some strategic decisions about your taxes. For example, if you know that your taxes will go up when you file, you may want to make a last-minute deduction to an IRA – or even open a new account if you don’t have one. Alternatively, you want to set money aside or even adjust your W-2 form if necessary. If you take just a little bit of time to think about your taxes in October, you can save yourself both time and money on April 15th. If you fall into one of those two brackets, you will have to pay an additional 3.8% tax on your Medicare benefits. What can you do to change it? Managing your investments and determining what to withdraw and when can help you keep control of your income. Of course, if your income is high enough, you may be stuck paying this tax. However, by managing your accounts carefully and withdrawing money in the correct order, you may be able to avoid it. As you approach retirement, it’s important to consider the ramifications from withdrawing money from various accounts. If you have several kinds of retirement accounts, it may be confusing. How can you know which money to take from where? Required Minimum Distributions (RMDs) should be withdrawn first to avoid tax penalties. Taxable Accounts (personal investment accounts) should come next. Traditional 401K and IRA accounts, which are tax deferred, should come next. Roth IRA and 401K accounts, which are tax-exempt, should come last. Now, there may be some exceptions. Withdrawing money in this order allows you to avoid penalties, and also means that you can front-load your tax obligations so that the older you get, the lower your taxes will be. However, in some cases, it may actually be preferable to defer taxes as long as possible. You individual circumstances will play a role so make sure to consider multiple options before making a decision about what to do. Have you considered the taxes that your survivors will have to pay on any inheritance you leave them? The so-called Estate Tax gets a lot of attention, although it applies only to people with very large estates. However, you may want to consider giving tax-exempt gifts as a way of reducing the amount of taxes your heirs will have to pay after you die. The per year limit as of 2016 is $14,000 per recipient. In other words, you can give $14,000 per year to an unlimited number of people, and that money will not count toward your lifetime exemption amount. If your estate is likely to be over the current limit of $5.45 million (the lifetime exemption amount as of 2016), you can offset some or all of the estate tax by giving away some money beforehand. If you decide to use this method, the most important thing to remember is not to exceed the annual limit. However, you and your spouse can both give gifts to the same person for a total of $28,000 per recipient per year. One of the best ways to stretch your retirement savings is to be smart about paying taxes – both now and in the future. There are many factors to consider, but by making some calculations (and a few calculated guesses), you can ensure that you won’t end up paying more than you must. Likewise, you can take action now to minimize the amount of taxes that your heirs will have to pay – something that is particularly important if you anticipate leaving a large estate. Getting help from a lawyer or financial planner is a good idea to make sure that you don’t miss out on any tax savings.